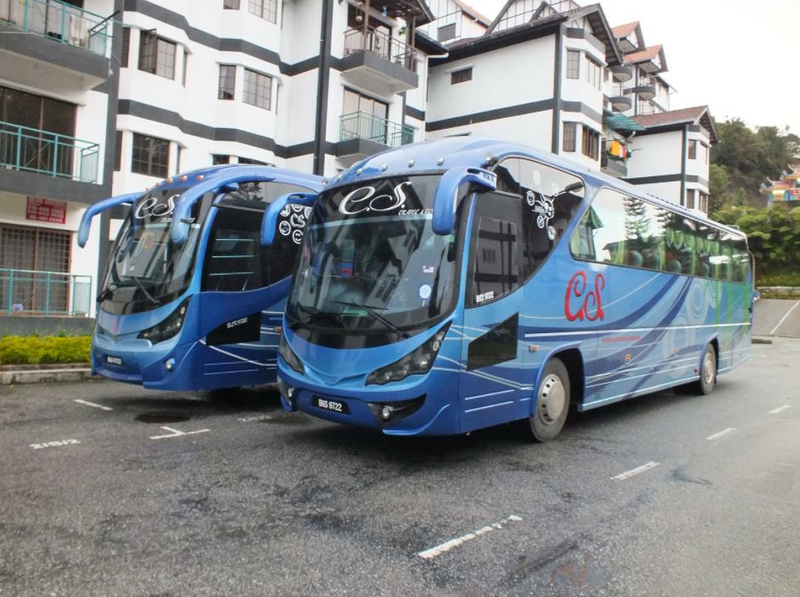 For those who are frequent travellers to and fro Cameron Highlands, you are most likely to have ridden on a CS Travel & Tour. This operator based in Tanah Rata in Pahang has been in the transportation industry since 1989 to allow the locals and tourists from all over the place to move around efficiently. With the endless possibility of activities to do in this extensive hill station, CS Travel bus wants to be able to create new memories with you whether it is in Cameron Highlands itself or other parts of Peninsular Malaysia. Just like CS Travel, Easybook wants to be at the forefront of all your travelling needs so we want to make sure you get the tickets that you want when you book your bus tickets through our easy-to-use platform. Whether you are escaping the warm weather in Kuala Lumpur or making your way from Cameron Highlands straight to KLIA in order to catch a flight back to your country, Easybook is always ready to provide bus tickets for travels with CS Travel & Tour. Having been in the transportation industry for almost 30 years, CS Travel & Tours is now the owner to a fleet of vehicles including 44-seater coaches, four-wheel drives, 10-seater vans and even limousine services with a chauffeur. With their long-time experience running this business, you can expect competitive prices from CS Travel bus to suit all your travelling needs. This well-known bus operator makes sure they have properly-trained drivers and staff members to allow you to have enjoy the rides on their well-maintained buses which travels to different areas in Peninsular Malaysia. The air-conditioned buses come with great legroom space and reclining seats to stay comfortable especially during those long-haul journeys with CS Travel. If you are travelling from Cameron Highlands, your pick-up and drop-off points are by the main road of Tanah Rata, which is nearby lots of hotels and restaurants. For those in Kuala Lumpur, your CS Travel bus will depart from Terminal Bersepadu Selatan (TBS), while KL Sentral will serve as the location for you to alight. Below are the routes available with CS Travel when you book your tickets on Easybook. Please check out our website for the full schedule and prices for the bus tickets. There are lots to see and do in Cameron Highlands for the entire family from the beautiful nature to the amazing city that it is. You will be greeted by chirping birds and fresh air upon arriving at this calming hill station which takes approximately 4 hours by bus from Kuala Lumpur. Here are just a few of Easybook’s recommendation of things to do upon arrival with CS Travel bus. You can’t have a list on Cameron Highlands without mentioning the Boh Plantation. Besides enjoying the breath-taking tea plantations with your own eyes, you will be able to smell the fresh air while learning how it is being processed when you are being taken on a tour at Boh Plantation with free entry. Find more greeneries when you visit the Mossy Forest, which is known as the highest mountain in Cameron Highlands. Go on a challenging hike here and be rewarded by an amazing view upon reaching the top. The Butterfly Farm near Kea Farm is quite an experience as well when you get up close and personal with the beautiful species while you learn a thing or two about some of the rare collection found here. Don’t miss out on the three honey bee farms in Cameron Highlands to find out about the honey production, as well as knowing more these beautiful insects. Speaking of sweet things, you should definitely pay a visit to the Big Red Strawberry Farm at Brinchang town. Besides hand picking fresh strawberries, you will be able to enjoy the scenic view and just take the time to relax. Since we are on the topic of food, the markets here are not to be missed. The morning market at Kea farm starts as early as 8 AM every day, while the night market begins from 3 PM in Brinchang until late at night. Locals and tourists would come here for the freshest produces from vegetables to fruits. You are able to pick up household products, clothing, accessories and other stuff as well while you are at the market. Don’t wait any longer and get planning on your next trip to Cameron Highlands with your friends or workmates by the convenience of the bus. Buy your tickets for CS Travel without having to go to the ticketing counter when you log on to Easybook.com today by following these simple steps. You can download our mobile app to your phone as well so you have access to our platform at any time and any place.